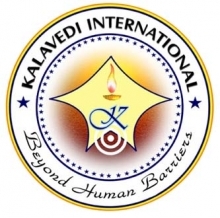 The aspirations of Kalavedi International Inc. endorse universal harmony as well as conventional arts and cultures. We are irrespective of political or religious barriers. Additionally, this organization would first and foremost be addressed by the provisions of food, education, medical amenities and clothing for impoverished children. In 2006, Kalavedi initiated a project called ‘Art 4 Life’ with one of its stated goals to support destitute children in Kerala primary school system. We assist children who are in need of food, education, healthcare, shelter and clothing, emotional and moral support. We learned a tremendous amount in a short time through a field visit in 2006, at Kallar,Pattom Colony Higher Secondary School in Idukki district, Kerala, India and was all challenged by the commitment and passion for these children especially in the face of hardships and scant resources. After conducting a survey in each classroom, with the help of school authorities, we selected 200 students with various problems who really needed our immediate attention. As a part of this project, we distributed a nominal amount of money, as a token and a special gift to each students and conducted one-day social awareness seminar and meeting for both the students and parents as well. In order to provide more, Kalavedi started a job training program in Idukki for the parents (mothers) of selected students in April 2008. Under this program, parents were trained to make cloths and trade them through the local stores in the town of Nedumkandam. It was initiated with the hope that this project would enable them to find a better livelihood and they can support their families more adequately. Kalavedi continues its mission by supporting the disadvantaged children by providing financial supports to many schools/organizations. We strive to promote harmony as well as to broaden the various activities to cover the needs of disadvantaged children. It is all our cooperative efforts which will certainly help us to serve the community in future more efficiently. If we want these children to be successful and included as adults, we need to make sure they’re successful and included as children. It is the generous supports by individual / institutions like you that enable us to lend a hand to the underprivileged children around the world. 2018 - Food drive for homeless New Yorkers. 1015 lb of nonperishable food was donated by kalavedi members in March 2018. 2015 – A wintercoat drive was organized in New York. 55 winter coats were collected, dry-cleaned and delivered to NYCares for needy people. 2015 – Financial supports provided to MithranikethanSchool for destitute children, Aruvikkara, Trivandrum, Kerala, India. 2015 – Financial supports were provided to UNICEF for Syrian refugee children fund. 2014 – Financial contributions were made to Red Cross - New York, for Nepal earthquake victims. 2013 – Financial supports wereprovided for Vikasschool for differently abled children, Thiruvalla, Kerala, India. 2012 – Financial aid was provided for the eye surgery for needy and elderly people in Moovattupuzha, Kerala. The project was coordinated by Fr. Saaju K. Mathai, the former principle of Kallar Govt. Higher Secondary School, Idukki. 2011 – Schools supplies distributed to deprived students in Kallar Govt. Higher Secondary School, Idukki. 2008 - A job training program started for the parents (mothers) of eligible students in Govt. Higher Secondary School, Idukki. 2007 - As a part of 'Art for Life', a social awareness seminar for the students and the parents was held in Govt. Higher Secondary School, Idukki. 2007 - As a part of 'Art for Life' Kalavedi opened savings account for all 200 destitute students of Govt. Higher Secondary School, Kallar, Pattom Colony, Idukki, Kerala, India. 2006 - 'Art for Life' a project was inaugurated by actor Sreenivasan at Trivandrum by providing financial aid to 3 blind siblings for eye surgery. It was coordinated by Fr. Saju K Mathai, principal of Kallar Govt. Higher Secondary School, Idukki, Kerala, India. 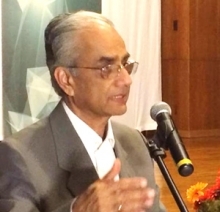 2018 - Kalavedi TV.com inauguration by Padmasree Dr. Somasundaran at Tyson center in New York. 2016 – A counseling session was held at 26 N. Tyson Ave, Floral Park, NY. The event was led by Fr. Joseph Puthenpurackal and attended by a full house crowd. 2015 – A social musical drama (Malayalam) was staged at the Irwin Altman auditorium in New York. The drama was played by the artists of Fine Arts Malayalam of New Jersey. The event was enjoyed by full house audience. 2014 - The KalavediKalotsav was staged on Saturday October 25th, 2014. The Bollywood dancers ‘AATMA’ were the main performing team. Also, many talented young artist from our community got chances to perform before a packed audience. It was a successfully organized event. Vice Chancellor K. Jayakumar IAS was the chief guest. 2014 - Competitions of dance and music for the young & talented were organized on October 4th, 2014. The first place winners were awarded with $1000 cash each. 2013 – A one day seminar on ‘MalayalaBhasha’ was held on Sunday, May 11, 2013 at Kerala Center in Elmont, NY. Vice-Chancellor of Malayala University in Kerala, K. Jayakumar IAS was the chief guest at this program. Also, a felicitation meeting was held to honor K. Jayakumar. Dr. M. V. Pillai, Prof. Somasundaran, Dr. SreedharKavil and Alex Koshy Vilanilam and many other dignitaries were present at this program. 2013 – ‘Kalavedi Extravaganza’ a well-coordinated entertainment evening with many well-known artists along with the young talented artists performing music, dance etc. was held on Saturday, October 20th, 2013 at Tyson Center in Floral Park, New York. A special dinner was served for all attendees during this event. 2011 – Kalavediart/entertainment program was held in New York. 2009 - 'Music Remedy' a Carnatic music program by Fr. Paul Poovathinkal (PadumPathiri) was staged in Long Island, New York. 2007 - 'Melodious Night' a musical night was conducted at Madras Woodlands in New York. 2006 - 2nd KalavediPrathibha Award night held at Tagore Theatre in Trivandrum. Best film maker - BlessyIpe; film - 'Thanmathra'. 2005 – A seminar/ meeting was held at Kerala Center, Elmont, NY. Also a felicitation meeting held for PadmasreeMadhvankutty and John Brittas at this occasion. 2005 - 1st KalavediPrathibhaAwardnight was held at KarthikaThirunnal Auditorium, Trivandrum. Best film maker - BlessyIpe; film – Kazhcha. 2004 - Kalavedi was founded in New York. Our web portal was inaugurated by actor Sreenivasan in New York.